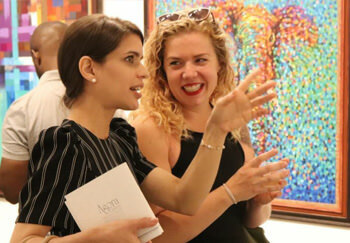 Agora Gallery offers artists the opportunity to present their work to a broad range of national and international art lovers and collectors. 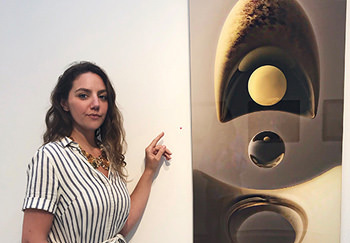 We welcome portfolio submissions from talented contemporary artists, or their representatives, at all stages of their art careers. 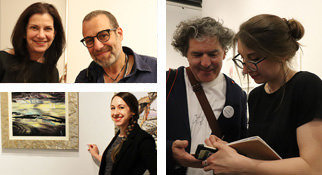 Portfolios are reviewed by the gallery director whose extensive knowledge of the New York art market will benefit artists that would like to promote their work and advance their careers. 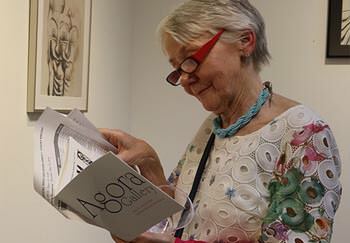 Please note that there is a $50 fee to submit your portfolio for review and Agora Gallery charges a fee for its representation and promotion services. Visit our FAQ page and Representation Plans Comparison Chart for more information. 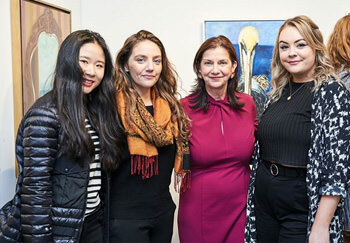 Our experienced PR team will work to extensively promote you by reaching out to relevant organizations, publications, and web pages to maximize exposure for you, your artwork, and your exhibition with Agora Gallery. One of our professional art writers will compose a press release that succinctly and elegantly introduces audiences to you and your work. You will receive a personalized artist page on ARTmine.com and AgoraGallery.com. 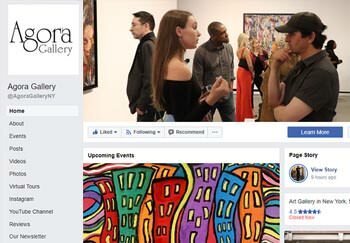 Social media is an important component to the promotion of artwork these days and Agora Gallery is proud to have a very active presence on social media. 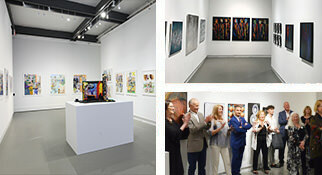 Your work will be displayed in our sophisticated gallery space in New York City. 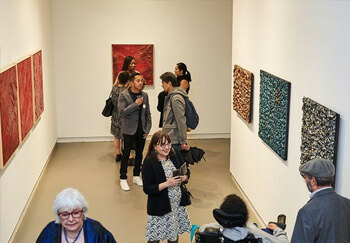 Invitations to the exhibition will be emailed to our mailing list of over 60,000 contacts. Invitation postcards are created for each exhibition. They are a great way to help spread the word about your artwork. 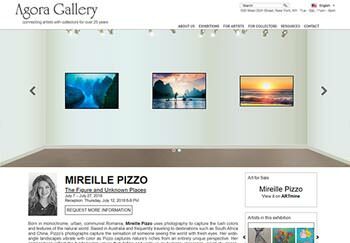 A sample of your artwork and the review that was written by a professional art writer will be published in a color catalog of the collective or solo exhibition. 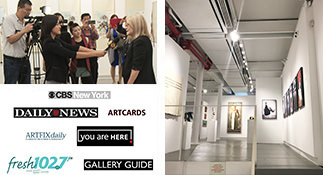 Your exhibition will be announced in a listing in a New York City art magazine, such as Gallery Guide, as well as on our website and on other art related sites. 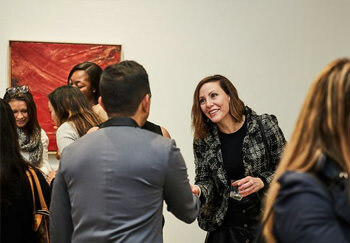 Receptions are a great opportunity to build your network in the New York art world. 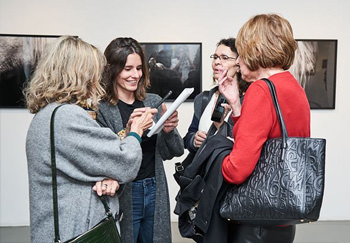 Our exhibitions are always highly attended and our professional photographer and videographer immortalize the events on our website. 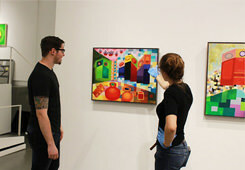 We understand your art, the marketplace, and the business of being an artist. Over the one year of your representation we will manage and update all aspects of your promotion, including social media, in-gallery materials, and publications. 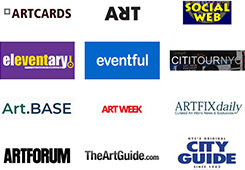 In addition, we will maintain communication with potential buyers, journalists, and collectors. Being a professional artist means that you need to have an artist statement. We will help you write a professional artist statement. 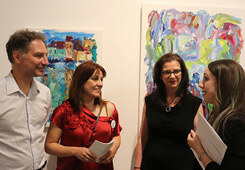 Should you need assistance in pricing your works, our gallery director is happy to provide her insight in this area.